Aiming to keep its subscriber base and premium subscriptions on the rise in 2010, HBO has been concentrating on a new slate of originals including new miniseries The Pacific, which premiered on Sunday. 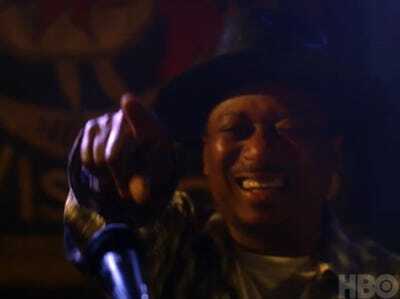 On April 11, Time Warner’s HBO will debut their new drama Treme. Brought to subscribers by the creators of critical hit The Wire, the hour-long drama will follow struggling musicians and New Orleans natives as they deal with the aftermath of Hurricane Katrina. New Orleans residents are included in the cast, adding to a line-up of lead actors including John Goodman, Wendell Pierce and Steve Zahn. The show’s pilot was greenlit after Fox’s K-Ville, the post-Katrina detective drama, was canceled in May 2008. Time Warner CEO and chairman Jeff Bewkes told analysts during an earnings call that combining HBO’s quality TV shows with new services like their HBO Go online video site will translate into “very strong, across-the-board revenue growth for HBO, both subscriber growth and pricing growth at wholesale,” he said. HBO’s risky vampire drama True Blood was credited with bringing in new subscribers during its first season. But can Treme and The Pacific bring in some fresh, paying consumers?